This is later than usual, but fortunately we will not have to pay any penalties. Hopefully, your taxes have long since been filed, and in honor of our muse, here’s Mr Nash’s “tribute” to Tax Day. The St. Louis Cardinals had a rare Tuesday off. That’s bad for me but good for you, or this review would have just been a bunch of videos of Matt Carpenter fouling off full count pitches while I pumped my fist. Who said the Cardinals are boring? Not to start on a low note but last night we saw everyone’s least favorite play in baseball when Indians pitcher Carlos Carrasco took a Melky Cabrera line drive to the face. He was carted off. Thankfully – as much as you can say “thankfully” in a situation like this – he was treated for a jaw contusion and appears to have avoided a serious head injury. If there’s a worse moment in sports I’m not sure what it is. The White Sox won the game 4-1. The Tribe have lost four home games to start the season for the first time since 1987 when they finished 61-101. Let’s move on. It’s early and they’re still without Denard Span and Anthony Rendon, but the Nats are 2-6 and four games behind the first place Atlanta Braves. You know, the first place Atlanta Braves? Also, Ian Desmond committed another error. He’s on pace for 122 which would be bad. That’s not how the world works, you have to pick one team. 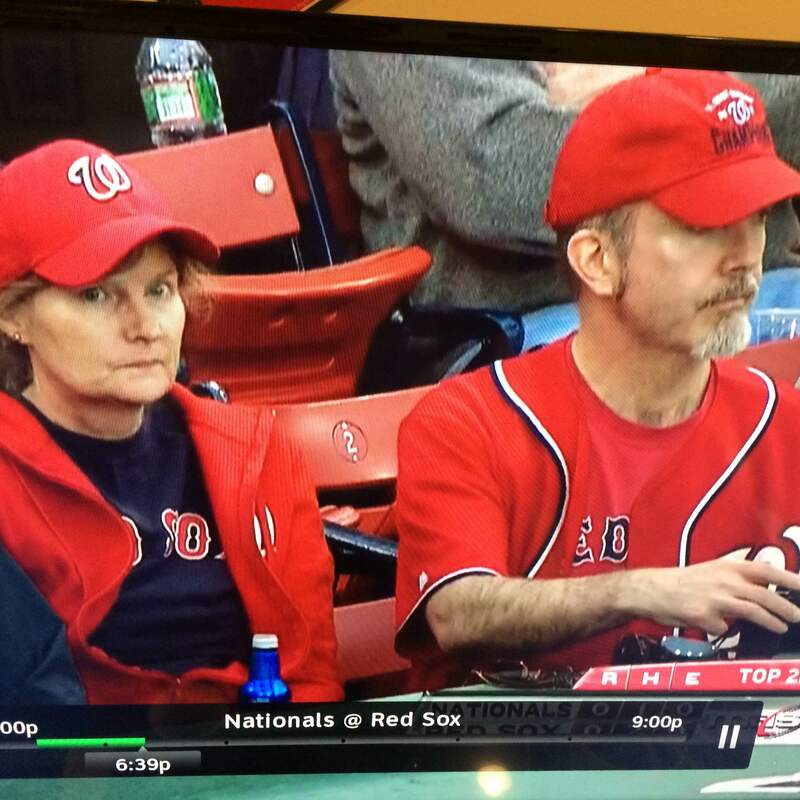 I studied both rosters and came away thinking that they were possibly catcher Ryan Hanigan’s parents since he was born in Washington, DC, and is now with the Red Sox, but then I found this adorable interview with the real Hanigan parents and no decent parents rep the other team just because their son happened to be born there. I’m left to conclude that these are foreign spies and they thought this was the best way to blend in. The star of yesterday was Shane Greene who held the Pirates to just three hits and zero runs over eight full innings. Detroit won 2-0. At just 81 pitches, he was easily on pace for a “Maddux” until manager Brad Ausmus opted for Joakim Soria for the 9th. Boo. Brad Ausmus hates freedom, so he pulled Shane Greene after 8 shutout innings on just 81 pitches. No Maddux. The Orioles beat the Yankees 4-3. Alex Rodriguez pinch-hit in the top of the 9th with a chance to tie the game, but he grounded out to short to end the game. Although you wouldn’t know that if you talked to this guy – who disrespects the game by standing up at inopportune times and obstructs the view of other paying customers. I was all set for my narrative this morning to be that Jake Arrieta is one of the best pitchers in the National League – which I still think he is – but that’s much easier to convey following a win. Instead, the Cubs lost to the Reds 3-2. Arrieta went 6.2 and allowed all three runs. Watching the Reds close it out in the 9th, I realized if there was a channel that exclusively showed Aroldis Chapman pitching on an endless 24-hour loop I would absolutely watch that channel. Matt Harvey made his second start of the season after carving up the Nats last week. He was up against Phillies second-year man David Buchanan, who gave up six earned runs in just three innings pitched during his first outing. Yes, the smart money was on the Mets. In the top of the 1st, Harvey effortlessly mowed down Odubel Harris and Freddy Galvis electrifying the Citi Field crowd as if they were going to see a 27-strikeout game. But then Chase Utley roped a home run to right field (he would connect on another one later in the game) and the weird was on. Buchanan hit up a couple of guys, including Michael Cuddyer, who left with a hand injury (X-rays were negative). To help the ump make up his mind, Lucas Duda decided to take matters into his own hands and slide into home plate again. And David Wright pulled a hamstring and had to leave the game. That meant Anthony Recker was stuck playing third base in the 9th inning, which normally would be fine but for the fact that he’s maybe never played that position before in his entire life? 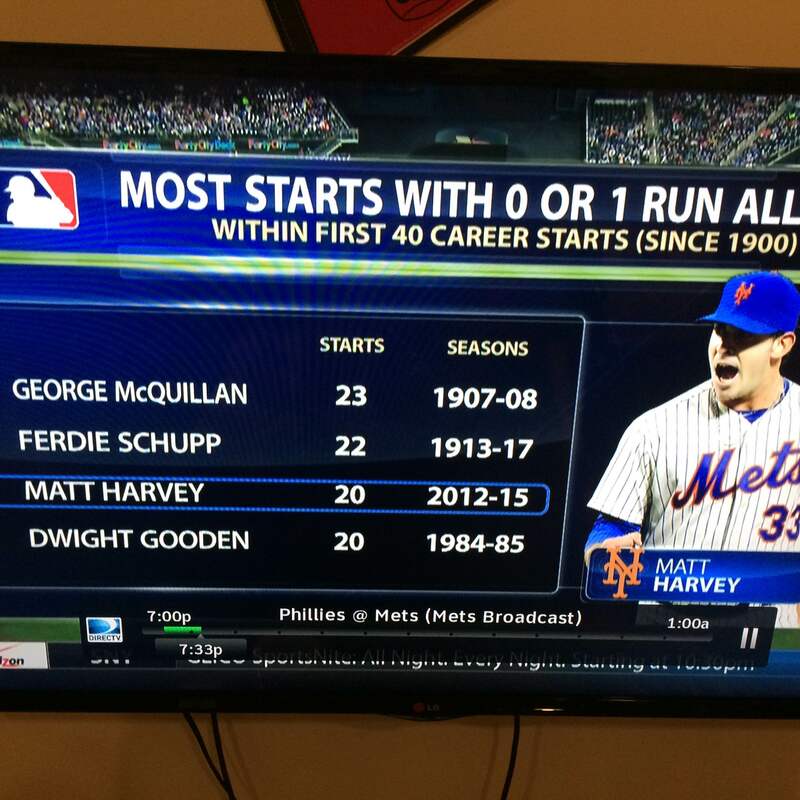 My dad always said you could do a lot worse than Dwight Gooden (! ), George McQuillan (?? ), and Ferdie Schupp (¯\_(ツ)_/¯). Vin says "featuring the sounds of Coachella" and everything is right with the world. Hardball Times remembers Dwight Gooden’s historic 1985 season. Fangraphs breaks down Carter Capps’ strange delivery. Russell Carleton discusses all of these pitchers batting eighth. Ben Lindbergh talks about MLB: The Show. These guys are both Tauruses. Tonight at Busboys and Poets in Takoma, MD, Jonah Keri will be hosting a Grantland Panel and signing copies of his book Up, Up, and Away. Other guests include Wesley Morris and Ben Lindbergh. If you’re in the DMV area be sure to stop by. I will be there.